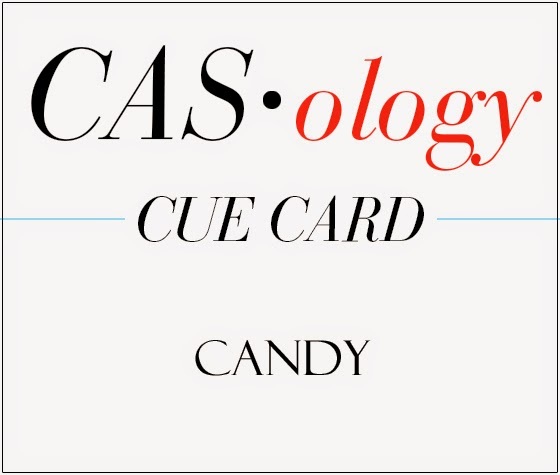 This week's CASology Cue Card is Candy! Of course candy is top of everybody's list at this time of year. My 11 1/2 year old daughter has a friend named Anna. Anna's mother was trying to convince her that she is too old for trick-or-treating and 'positively reinforced' (NOT bribed) her to give it up by letting her plan and host an elaborate Halloween party for her friends (including Kate) instead. I bet you see where this is going, right? Yep - they're going to trick-or-treat first and then have the party. lol! 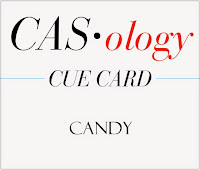 My card shows that one central focal point on a white card will always look CAS. 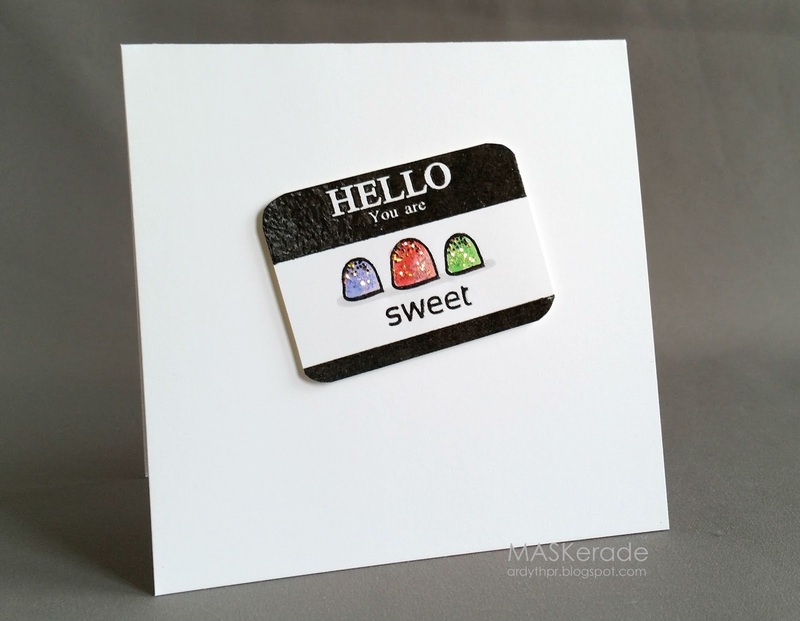 I used Avery Elle's Hello set for the 'name tag', Neat&Tangled's Sweet Home for the gumdrops (coloured in Copics then coated with Icicle Stickles for the 'sugar'), and Technique Tuesday's Your Choice for the 'sweet'. Now it's your turn - I can't wait to see all the sweet creations for this challenge! Make sure you stop by the DT blogs for even more inspiration! Ardyth, this card is just so perfect! I'm speechless! What a fun card and perfect for the challenge. Oh that is too funny. I love it. You card is adorable. Think I need those hello stamps. Your girls sound as creative as mine. You know it's always all about the candy. This is a perfect CAS card, and I am impressed with how well you got all your various brands of supplies to play well together. Love your Stickles gumdrops Ardyth, love the story more. Smart girls. Brooklyn went out trick or treating until grade 9. It became more social and she came back with hardly any candy. Hope Kate and Anna have a great time!